Train with Grandmasters and Masters from around the US (all ages and ranks) back-to-back clinics on Sunday morning. Choose from subjects including self-defense, Street Smart self defense, Cane Form, Fitness for athletes, sparring technology, Trapping and more. This clinic is being offered by Kwan Jang Nim Leclerc. Tournament champion Leclerc clinic is called sparring For Champions. Since 1996 we've been committed to developing and encouraging our students to reach their potential in all aspects of their lives. As you train to become a Black Belt you will see consistent progress and significant changes in your life. You will experience growth in the dojang (our Tang Soo Do classroom), in school, family, friendship, work, the general community and in your personal development. Many students have reported to us that their increased level of physical fitness and the confidence they've gained through consistent training have enhanced and improved all aspect of their lives. We hope that you will find our staff of Black Belt Instructors to be a very positive influence on your life. Our number one priority is to provide you with exceptional Martial Arts instruction in a positive, safe, motivating environment. Our innovative teaching methodologies and unique curriculum are designed to allow you to learn in a step-by-step building block fashion. Over the course of your training you will gradually be exposed to a variety of extremely effective blocks, strikes and self-defense techniques that will give you confidence and a very high level of overall physical fitness. Stay focused and remember, "A Black Belt is just a White Belt who never Quit." We are here to assist you in reaching your goals, and we are dedicated to excellence, your excellence. We are here to help you be successful. Most of all, have fun with your Martial Arts training. Tang Soo! Master Bogdanski was a Black Belt bouncer at a college bar. He owned his own nightclub during the disco era and again had to tweak his martial art skills to street fighting. A veteran of over 50 bar fights as a bouncer I have experience on how to use your Tang Soo Do techniques for the street. You can also read more through my "Bouncer Chronicles" on my blog. We will discuss adrenaline training, breaking the freeze, taking your forms training into close quarter combat, improvised weapons and more. Please wear your shoes for this class. Any level practioner who does these forms needs concise details on how to perfect these hyung. This clinic will examine minute details for top performance. SBN Duethorn, USGTSDA chairperson is the co-owner of Quest Martial Arts, as well as the head instructor of the school. I am currently a 5th Dan in Tang Soo Do, a blue belt in Brazilian Jiu Jitsu, and a certified F.A.S.T. defense instructor. My roles at the school include: teaching, staff training, calendar and event planning, curriculum design, demonstration and tournament team, and tuition/membership services. However, my favorite place to be is on the mat teaching. I enjoy giving private lessons to help people reach many of their own personal goals. I am also available for teaching group classes on women’s self defense. This is a necessary education, especially for all teen aged girls. I believe teaching is an interactive experience between the teacher and the student. At our best we use the teacher/student relationship to create a synergistic approach to understanding Tang Soo Do more deeply and personally. I believe that the training we receive in the Dojang is intended to transform our understanding of who we are now, and who we would like to be. It also helps us deal with life’s challenges in new ways as well as helping us to enjoy life more completely. This clinic is offered by Kwan Jang Nim Wesley C. Jenkins of Tiger Do Jang. Teaching cane form one (ranks green and up). This is the only legal weapon you can carry on a plane. Grandmaster Jenkins will teach a clinic to kids on increasing fitness as used by specialized high performance athletes. We will cover mirroring your opponent to defeat him with strategy and advanced positioning. Master Mike Shintaku is an 8th Degree Master Black Belt in Tang Soo Do (Korean Karate), Instructor level in Tai Chi (Chinese Kung Fu), and a 1st Degree Black Belt in Shito-Ryu (Japanese Karate). In 1966, Master Shintaku began studying Tang Soo Do in Sacramento, CA under Grandmaster Mariano Estioko, the 2nd American to receive a Tang Soo Do black belt. Master Shintaku has over 50 years of experience in the martial arts and over 45 years teaching martial arts. This Seminar For Green Belts and higher. Kwan Jang Nim Charland is teaching a seminar on trapping and entries as they apply to real world fighting. This will be for juniors and adults starting at green belt through black belt. It will be a beginner level seminar (for students who have not had much trapping and entry training). You will get to go home with some great drills and maybe even a takedown or two as dessert!! Master Charland began studying martial arts over thirty three years ago. He holds a seventh degree black belt in the art of Tang Soo Do, and has studied other arts extensively. More than that, he has been teaching the martial arts for more than 30 years this year! He has devoted his life to being a teacher and student of martial arts and incorporate all that he has learned through life in his teaching and training. Master Charland began his martial arts instruction career in 1988 teaching a karate program for the Watertown, CT Parks and Recreation. After making it the most popular program outside of Pop Warner Football (120 students) with the help of his brother in law, an apprentice black belt, now Master Scott Hanson, he gave the program to its current instructor and opened full time in 1992, later that same year he was married to Ee dan black belt Teresa (Mongillo) Charland TSDMA #014. They are still happily married (yes, these days that is worth mentioning). In 1996 he became one of the five co-founders of The Tang Soo Do Masters Alliance. 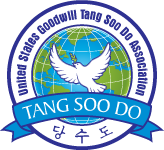 In 2006, Master Charland was named Chairman of the Board of Advisors of the United States Goodwill Tang Soo Do Association in 2006 and served as Chair until 2012. Master Charland continues to serve the USGTSDA on the Senior Advisory Committee. SBN Pumarejo is the owner of Success Martial Arts in Tucson, Arizona. He will conduct a clinic on the Korean sword art - Hai Dong Gum Do and a clinic teaching Basai So and Basai Dai. Please bring a sword. 4th Dan in Haedong Gumdo- Korean Swordsmanship.